Such hype rarely equals such results. And with a film this small, that cost so little to make, that was shot in a matter of weeks, it’s an even greater surprise. The director is a no-name guy, an amateur who shouldn’t be up to this heavy a task. Teller is a teen-film star, an up-an-comer perhaps, but one who only plays frat boys and witty young loves. Simmons is a consummate pro, a veteran of over a hundred roles, but never a wow factor. And Paul Reiser, please, he’s just that guy from that one show about New York. This isn’t the recipe from indie success, let alone Oscar buzz. And yet this film received a nomination for Best Supporting Actor and for Best Picture, bullying its way into the conversation against all odds. 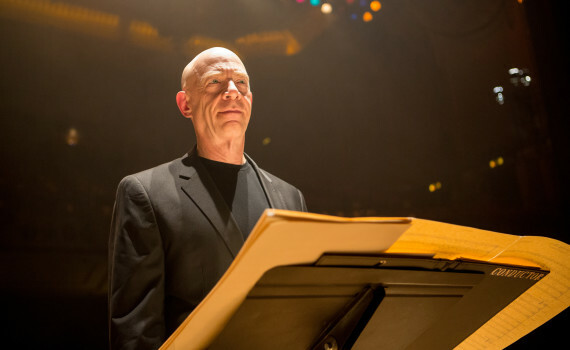 But what may be the most surprising aspect of this story is that Whiplash deserves every credit given, rave review written, and buzz built, because it is without a doubt one of the best films of the year. 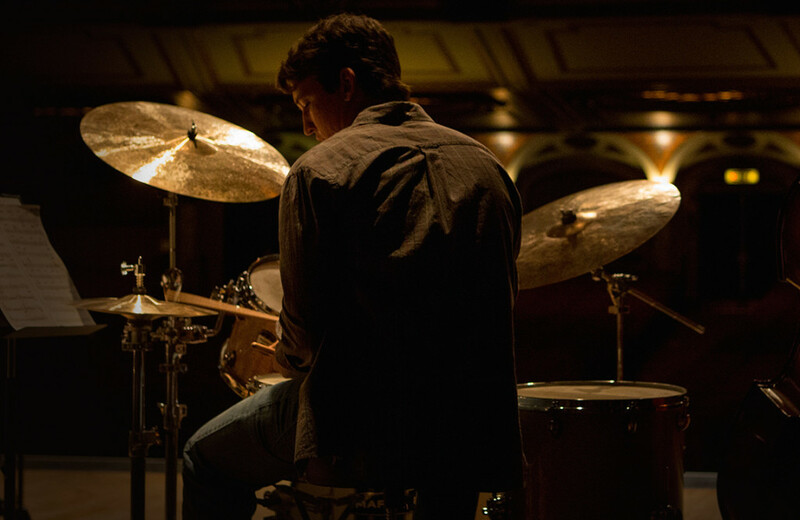 For first-year college student Andrew, it won’t be good enough to become a great drummer. What he wants is to become one of the greats, one of the best to ever pick up a stick. And at his school, there’s a teacher who can make that happen. His name is Fletcher and he is feared by all who have ever heard a whisper of his name. But in order to succeed, to become a member of the core group of competitive jazz musicians, you need to impress Fletcher, an almost impossible task. When Andrew grabs his attention, he begins to feel confident about his playing and where his talent is heading. But it’s not that easy. Fletcher is a demon for detail, an unrelenting perfectionist, a believer that pushing a musician past their breaking point is a necessary step toward finding their potential. Andrew may want to be the best, may think he can get there someday, but he might not survive the journey. The intensity of this film is incredible. Not many movies can make you feel this uncomfortable, this tired, this stretched, this pushed to the limit right alongside the characters. The blood, the sweat, the spit, the hours, the agony, the passion; it’s all right there for audiences to touch, to taste, and to experience. Sounds like a bad way to spend 90 minutes, and perhaps this film isn’t for everyone, but it’s a story that draws you in & makes you feel a part of the drama; a great quality to have, in my book. As someone who enjoys & plays a little music, I can understand the desire needed to be better than average, the work required to be great. But I’ve never seen the insanity of genius put on display like this, the inarguable effect that push has on fragility, the breaking down of a psyche in order to see what it’s made of. 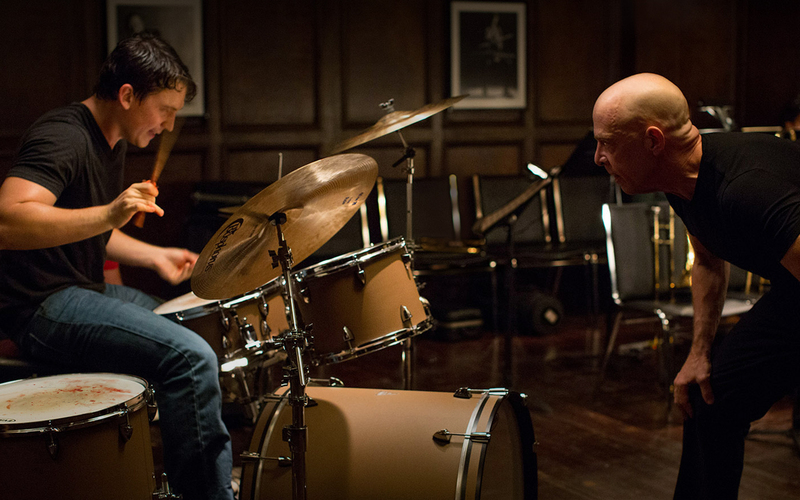 Whiplash is a film that fills you with the beat, that holds you close, and won’t let you give up. J.K. Simmons is on his way to an Academy Award with this performance, one that is undoubtedly the best of his career. He plays Fletcher with a cruel coolness, a wicked tongue, and an unrelenting pressure that makes audiences feel like the guilty pupil, the slacking musician, the scum of the class. Simmons gave every ounce of his talent to this role and it paid off. Teller held his own, if not quite rising to the level of his counterpart. He was solid, emotional, vulnerable, unlikable at times, but always relatable, a boy in over his head but never wanting to give up. Fletcher stole any scenes the pair were in together, but when Andrew was alone on the kit, when he began pouring his heart into his practices, those were the moments when Teller shone. This is a movie that shocks, that you don’t see coming, that lives up to its hype, and that refuses to be forgotten quickly or easily.